This important office complex is situated next to St Katharine Docks, on the site of part of the old London Docks. The owners decided to rebrand the estate and to create a new image, so have renamed it Moretown, and are investing substantially to improve and modernise the facilities. While achieving all this change, they appreciate the richness of the local history and are well aware that this area has been of vital importance for the Nation’s trade for a thousand years. A plan is developing to consider how best to reflect this aspect, using Sir Thomas More’s famous book ‘Utopia’ as its centrepiece. Nearby is the Tower of London, where Sir Thomas More was imprisoned, then executed on Tower Hill. The site is opposite where Times Newspapers set up after leaving Fleet Street, and Wapping, which was severely bombed during the blitz. Charles Dickens knew the area well and Nightingale Lane (now Sir Thomas More Street) was home to many of yester-year’s villains. 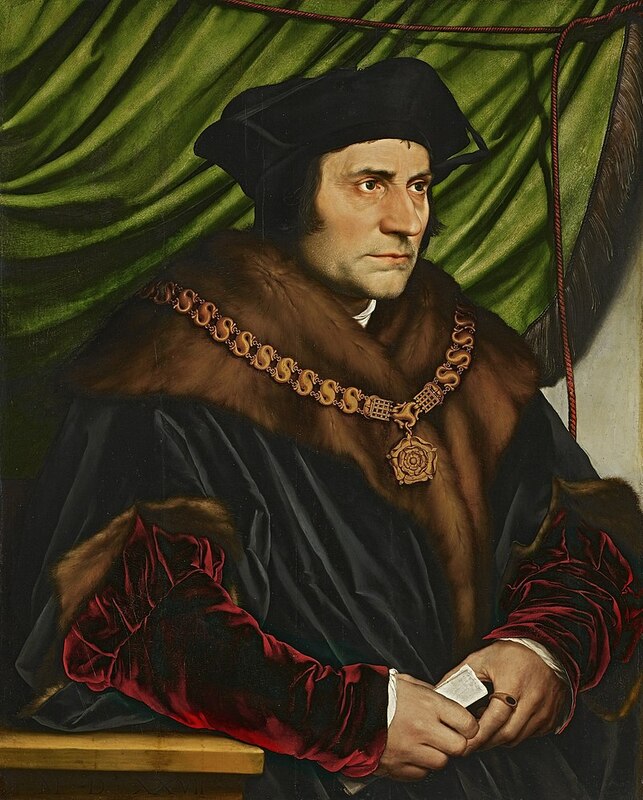 Most people know that Sir Thomas was a statesman and became Chancellor of England under King Henry VIII, becoming the second most powerful person in the country, and was eventually beheaded because he wouldn’t condone the King’s Church reform and opposed the annulment of his marriage to Catherine Parr. Less well known is that as well as being a writer and philosopher, he was also experienced in the nation’s trade. In those times, the wool trade was vitally important (symbolised by the Speaker of the House of Lords sitting on ‘the Woolsack)’ and Sir Thomas was an authority on this. Unlike the past, without computers, internet and modern comforts, presently, trade and commerce still form the main business in this area. In the future, success will still depend on global as well as home markets, though now organised in the comfort of modern office accommodation. Just as the future is exciting, we may also cherish and respect our past heritage.